Here are the 5 most important things you need to know about Brushee. 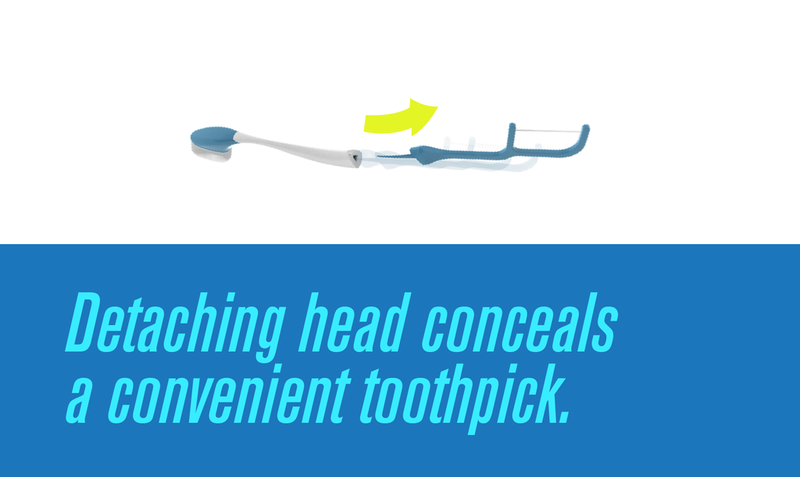 Pre-Pasted Toothbrush Makes Brushing Easy and Clean. 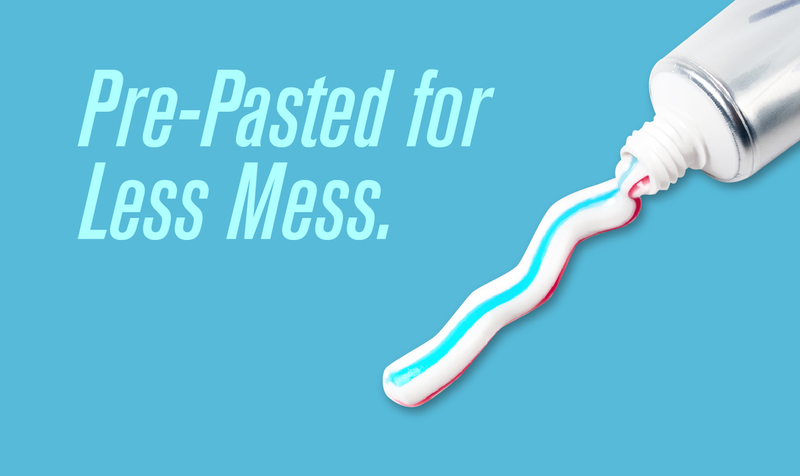 Forget the mess and inconvenience of toothpaste; with Brushee's pre-pasted bristles, you'll be able to brush whenever, wherever. Brushee's unique design conceals a toothpick! Just pull the pre-pasted toothbrush head. 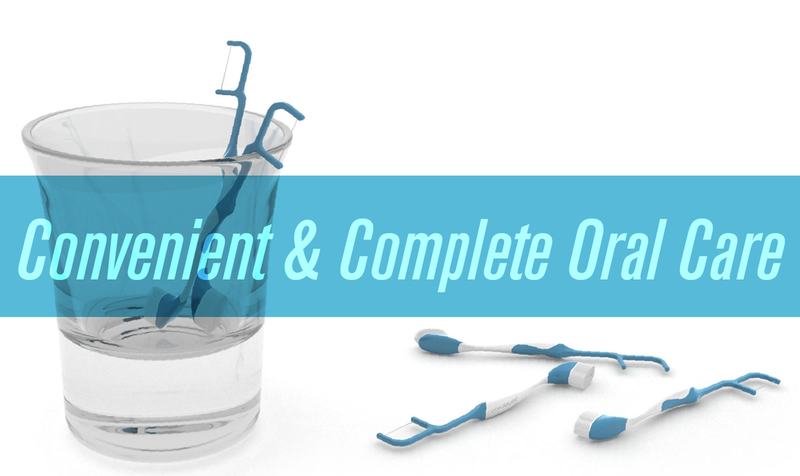 People love the convenient and complete oral care that Brushee provides. Retail ready with carton for display. 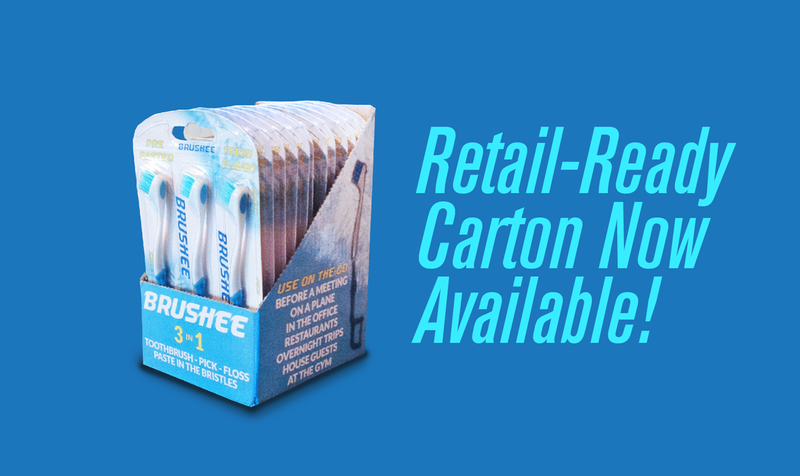 The Brushee comes ready for your store with an attractive POP carton. You'll love how it sells itself, and your customers will enjoy convenient oral care when they're away from home. 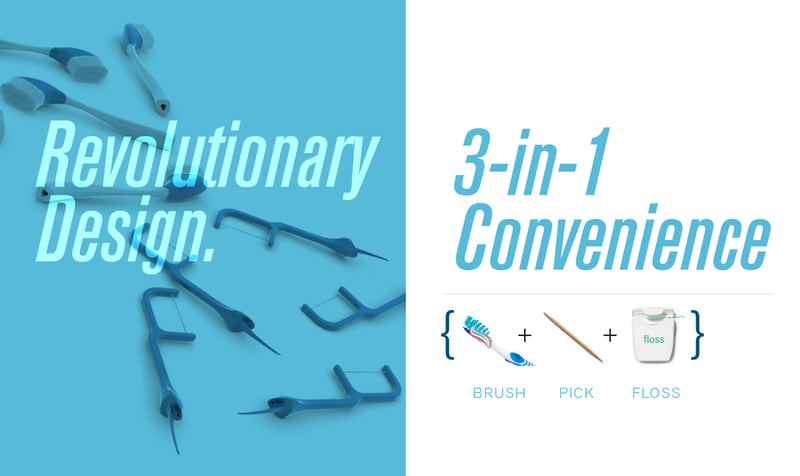 The Brushee's unique design combines a pre-pasted toothbrush with a pick and floss, to create a simple tool for complete oral care.